Give the perfect gift every time! 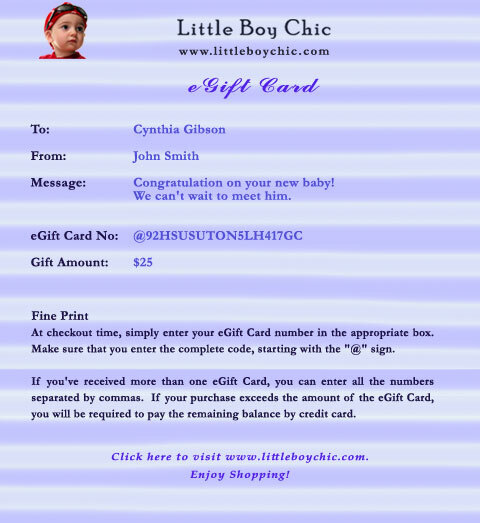 Purchase an “eGift Card” for a special day for the little one or the mom. 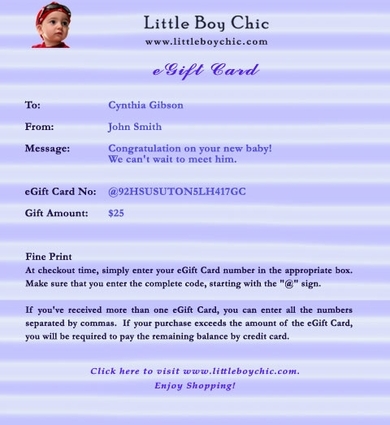 Once an eGift Card is purchased, it will be emailed to the recipient within 24 hours. (Weekends and holidays excluded.) Be sure to fill out all the pertinent information when you check out. You can also purchase multiple eGift Cards to match the exact amount you'd like to give.